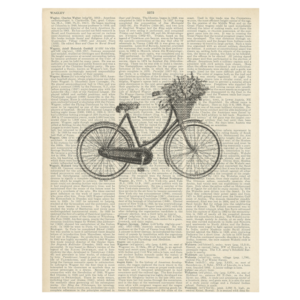 Bike with basket on vintage dictionary page. SKU: DP025. 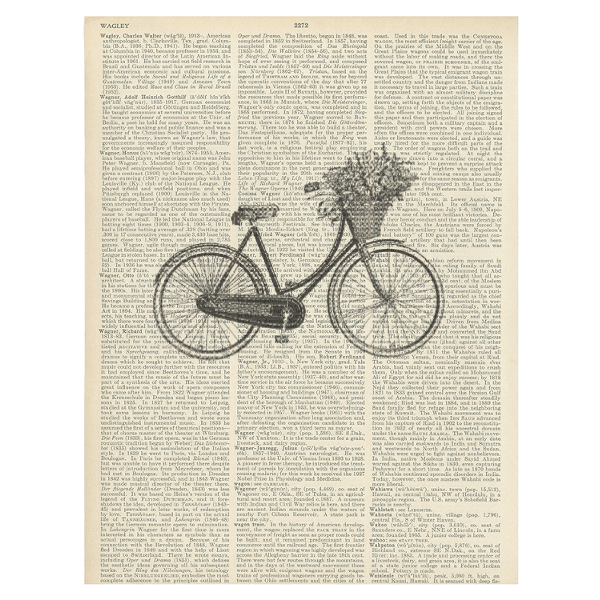 Category: Dictionary prints.